Locksmith is an application for generating secure passwords. 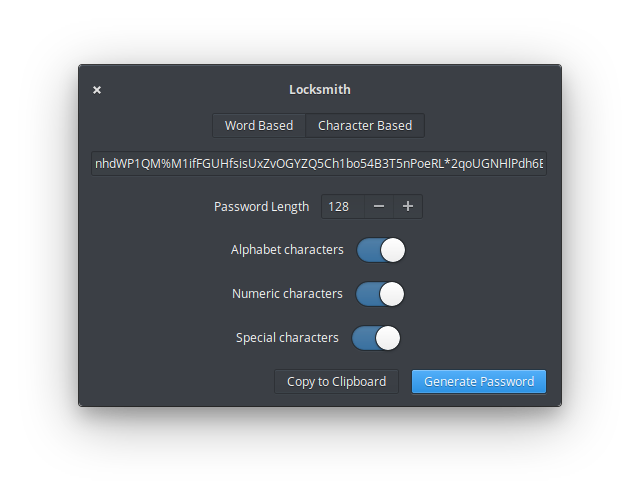 It provides tools for both memorable word-based passwords and random alpha-numeric passwords. Get Locksmith and more on elementary AppCenter, the open, pay-what-you-want app store for indie developers. Every app is open source and has been reviewed and curated by elementary to ensure a native, privacy-respecting, and secure experience. 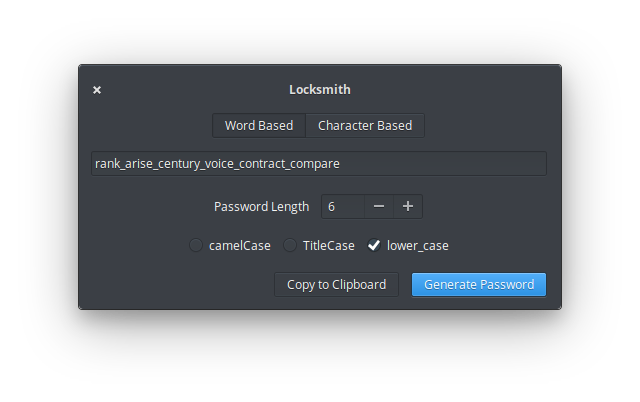 Locksmith now looks more like the built in elementary OS tools, so you can feel at home using it.